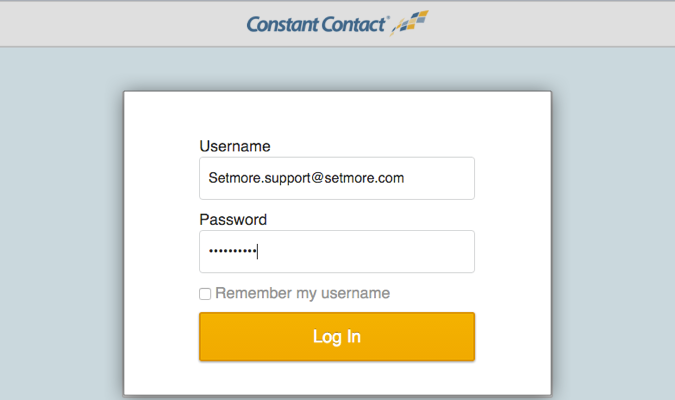 This integration will automatically export your new Setmore contacts into your Constant Contact account. You'll be able to specify which email subscriber list in Constant Contact where the new customer data will be exported to. Whether customers are added to Setmore manually via your admin dashboard, or by customers themselves through your Booking Page, their information will be automatically carried over. 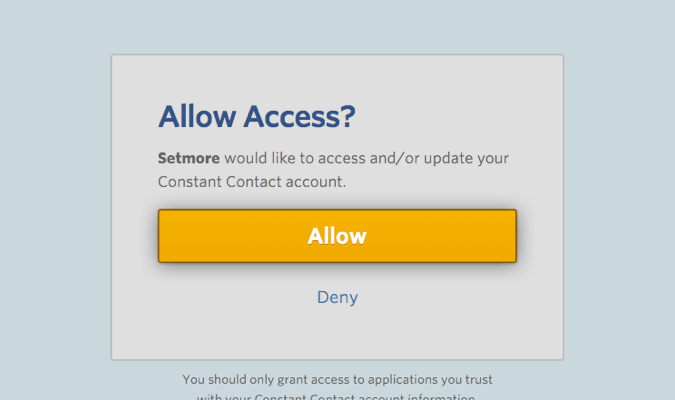 Please note this is a one-way integration, so while new contacts in Setmore will export to Constant Contact, new contacts in Constant Contact will not import into Setmore. 1. 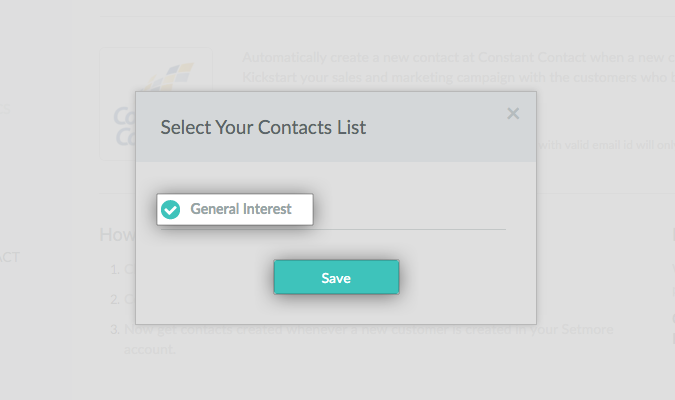 Navigate to Apps & Integrations, then scroll down and click on the Constant Contact integration card. 2. In the Constant Contact details window, click the "Activate" button on the left. 3. A login window will appear. Enter your Constant Contact account credentials to continue. 4. You'll be prompted to allow access for your Setmore account. Click "Allow" to proceed. 5. Select which subscriber lists you would like to add your Setmore contacts to. You may select more than one. Click "Save" to complete the integration.